The Air Force’s increased 2020 budget takes another step in an aggressive plan to prototype, test and deploy hypersonic weapons on an expedited schedule — to defend against enemy attacks by fast-tracking an ability to launch high-impact, high-speed attacks at Mach. 5 – five times the speed of sound. “Hypersonics is such an important area, we have to push it through – soon,” William Roper, Assistant Secretary of the Air Force, Acquisition, Technology & Logistics, told an audience recently at an Air Force Association Symposium. Roper emphasized that the hypersonics effort is both focused on current emerging weapons, which are testing, being prototyped and quickly nearing operational status, but also on an “idea pipeline” to keep new developments emerging. “We want to sharpen the industry base, even if we don’t buy them in quantity. We want a ‘big idea’ pipeline, but we have to commit to it,” Roper said. 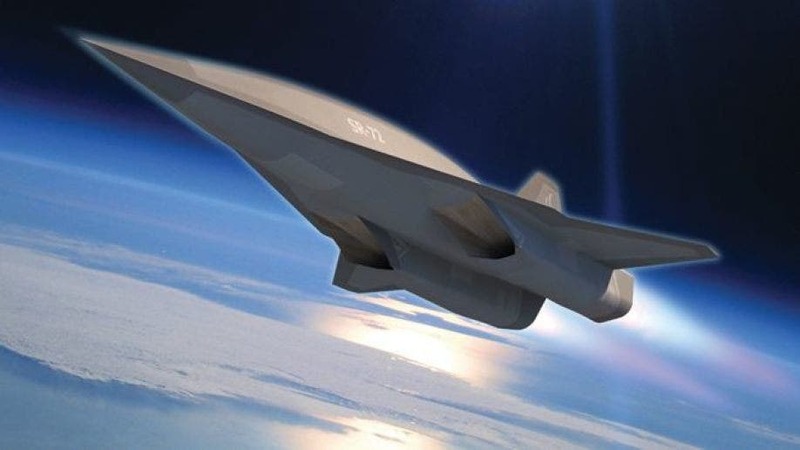 The Pentagon’s 2020 budget is proposing a hypersonic weapons increase, citing the request this way – “Hypersonics weapons development to complicate adversaries’ detection and defense – $2.6 billion,” DoD budget documents say. A “boost glide” hypersonic weapon is one that flies on an upward trajectory up into the earth’s atmosphere before using the speed of its descent to hit and destroy targets, senior officials said. Senior Air Force weapons developers, including Roper, have explained the rationale in terms of not waiting many more years for a “100-percent” solution if a highly impactful “90-percent” solution can be available much sooner. A weapon traveling at hypersonic speeds, naturally, would better enable offensive missile strikes to destroy targets such and enemy ships, buildings, air defenses and even drones and fixed-wing or rotary aircraft depending upon the guidance technology available. In an essay from last year titled “Hypersonic Missiles: A New Proliferation Challenge,” Rand scholar Richard Speier further specifies the seriousness of hypersonic missile threats. “They are able to evade and conceal their precise targets from defenses until just seconds before impact. This leaves targeted states with almost no time to respond … Hypersonic missiles require a reconsideration of traditional second-strike calculations, as they have the potential to decapitate a nation’s leadership before it has the opportunity to launch a counter attack,” Speier writes. Although potential defensive uses for Hypersonic weapons, interceptors or vehicles are by no means beyond the realm of consideration, the principal effort at the moment is to engineer offensive weapons able to quickly destroy enemy targets at great distances. Scientists explain that speed of sound can vary, depending upon the altitude; at the ground level it is roughly 1,100 feet per second. Accordingly, if a weapon is engineered with 2,000 seconds worth of fuel – it can travel up to 2,000 miles to a target, a former Air Force Chief Scientist told Warrior in a previous interview. A report in Popular Mechanics cites Chinese State Media as having announced a successful test of a new “wave-rider” Hypersonic vehicle. “The Hypersonic vehicle that detached from the booster rocket flew for 400 seconds, achieving a maximum speed of Mach 5.5 to 6 (4,200 to 4,600 mph) and reaching an altitude of 100,000 feet,” the report says.